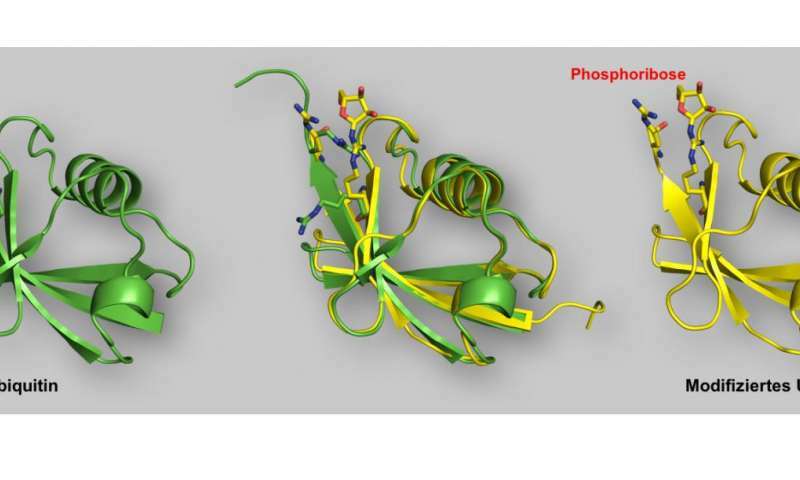 A team of scientists under the lead of Ivan Dikic, Director of the Institute of Biochemistry II at Goethe University Frankfurt, has now discovered a novel mechanism of ubiquitination, by which Legionella bacteria can seize control over their host cells. Legionella causes deadly pneumonia in immunocompromised patients. 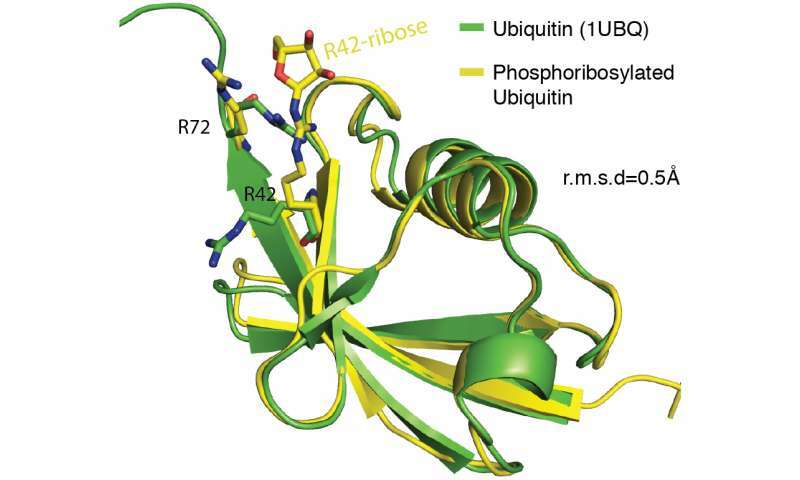 The attachment of ubiquitin was long considered as giving the "kiss of death", labelling superfluous proteins for disposal within a cell. However, by now it has been well established that ubiquitin fulfils numerous additional duties in cellular signal transduction. A team of scientists under the lead of Ivan Dikic, Director of the Institute of Biochemistry II at Goethe University Frankfurt, has now discovered a novel mechanism of ubiquitination, by which Legionella bacteria can seize control over their host cells. Legionella causes deadly pneumonia in immunocompromised patients.